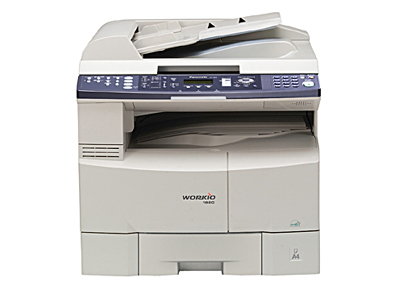 The Panasonic WORKiO DP-1820 is a combination printer and copier built for office environments with high paper throughputs and to be expanded if and when necessary, making it a functional choice if seeking out a large multifunction unit that's stayed relatively comparable with newer models like it. For a multifunction unit, the DP-1820 is quite compact at 22" by 21.9" by 18.1" and 95 lbs, well under the sizes of other industrial-grade all-in-ones. The system gets larger if you add expansion units, but its basic design renders it small enough to sit on a desk near other equipment without a great deal of inconvenience. The copier and printer both produce documents at 20 pages per minute, about average. Users constantly producing large documents may wish to consider a newer model or units built more with speed in mind, as many newer printers and copiers offer over double this with page outputs of 40-60 pages per minute. 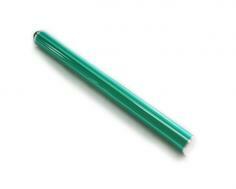 The copier has a standard paper capacity of 600 sheets and a maximum capacity of 2250 sheets. This makes the unit more than qualified to serve as a small office's primary work machine, as it can handle over a ream of paper and can hold up to four and a half at a time. A 50 sheet automatic document feeder is also available as an add-on. The unit can process paper up to 11" by 17" in size, an advantage over many units that cannot process anything larger than 8.5" by 14" in their custom document feeds. The copier includes 16MB of memory, upgradable up to 144 MB. The printer has its own 20MB of memory, which cannot be expanded, and the optional fax unit has 2MB upgradable to 10MB, allowing it to store between 120 and 640 pages. Duplex printing is a standard feature on the unit, reducing the need for a costly add-on. The optional scanning unit provides many options for routing data, including Scan to PDF, Scan File Naming, and Scan to FTP, making it easily competitive with contemporary scanners. The optional fax scan documents at approximately .7 seconds per page and sends at a maximum resolution of 600 dpi, as high as contemporary fax machines can send documents. The unit includes both an ethernet port and a USB port, allowing for both forwards and backwards compatibility, as it can be easily networked but also connected to almost any computer manufactured in the last twelve years via USB. Legacy-only systems can communicate via ethernet, making the unit a good choice for an office environment that has to keep legacy PCs for various reasons. The copier has a maximum resolution of 600 by 600 dpi and a maximum printing resolution of 1200 by 600 dpi. While these were standard at the time and are still likely satisfactory, newer multifunction units do sometimes offer higher resolutions for both functions, with newer copiers offering 1200 dpi resolutions and some printers offering resolutions as detailed as 2400 dpi. The copier can reduce and enlarge documents between 25% and 400%, adjustable in 1% increments. Some newer copiers offer even more precise zoom at .1% increments. Internet fax can only be sent to systems via the TIFF image format, potentially inconveniencing users who work predominantly in other imaging formats. Review it: "Panasonic DP-1820 "
The DP-1820 has three components that require semi-regular replacement. 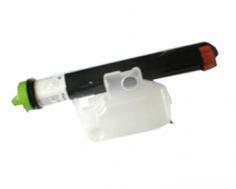 Black toner for the DP-1820 is rated at a yield of approximately 10000 pages at 5% coverage. Additionally, the DP-1520's drum and developer both require replacement at approximately every 60000 pages at 5% coverage, or with every sixth toner cartridge. Because all of these components are divided into separate units, the DP-1820 requires more frequent maintenance to maintain maximum quality performance, but long-term costs will be lower than they are in systems that integrate all three components into single units.